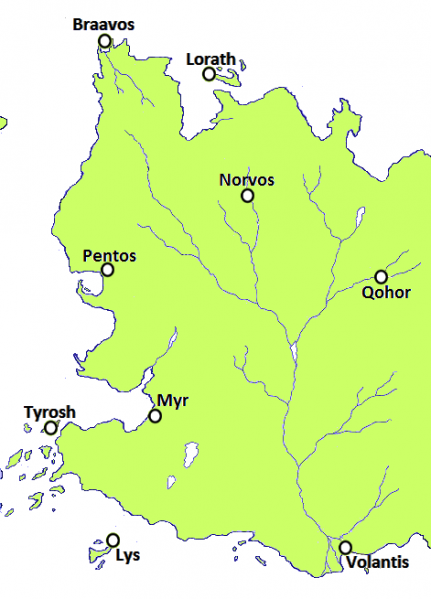 Thoros of Myr is a Red Priest from the city of Myr, located on Easteros. Like Melisandre, Thoros was given to the Red Priests at a young age and studied to become a Red Priest himself. 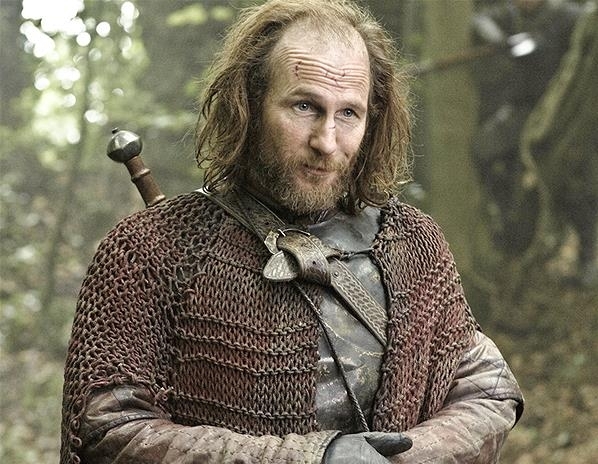 In an attempt to spread the religion and make others aware of the threat presented by the Great Other, Thoros was sent to King’s Landing to try an convert the Mad King Aerys, but to no avail. He ended up becoming companions with Robert Baratheon, and a member of his court after Robert took the Iron Throne. After meeting Beric Dondarrion, Thoros and Beric formed the Brotherhood without Banners, an outlaw group that swore fealty to no king or lord and fought for justice in the name of the Lord of Light. Thoros began to develop powers that he never before had. In addition to being able to see visions in the flames, he resurrected Beric Dondarrion back to life several times.